Gaming Club, as believed and confirmed by people who were working in this industry since its inception, is the first online casino and the backbone of online gambling industry. The brand lists 1994, as the year it was founded and that’s exactly the year gambling on the internet was made real. It took a cooperation of two gambling industry giants, that we know of today, to make it work – Cryptologic and MicroGaming. The fact that Gaming Club has been online for close to 20 years now is actually kind of impressive itself. There’s also a correlation between this fact and the main benefit of choosing to play at this casino – successful industry experience over 20 years really does say something about the trust and reputation of a company. GC definitely is listed high, when it comes to security and trust. Up until this day Gaming Club is powered by MicroGaming, even after 20 years have passed. Well, the software solution offered by MG is definitely not bad and actually is close to being among the best and largest ones out there. Though, what I and most players care about in terms of compatibility are a couple of aspects – whether a casino is downloadable or playable via instant flash version and whether it runs on mobile devices. Well, Gaming Club passes all requirements that I just listed with A grades. There are two variations of the casino, one of whom is downloadable while the other is flash based. Mobile platform supports iOS, Android, BlackBerry, Windows Mobile and pretty much every possible device there is. Immortal Romance: love and desire themed slot machine game that saw light and was launched in late 2011. It became quite a big hit and is still among the most popular games this company have ever created. It features 243 ways to win, several free spin rounds and a randomly triggered feature that turns symbols on the reels into wilds. Finer Reels of Life: one of my favorite games from MicroGaming is also offered at Gaming Club Casino. It’s using a similar framework as Immortal Romance, but features a theme that is much more appealing to me – finest moments in life, with activities you can do mixed with taking a minute to yourself and just dreaming, such as smoking a cigar, drinking brandy, eating chocolate together with coffee and many more. Thunderstruck 2: continuation of the Thunderstruck slot series and a game that is built on a theme of Nordic God, Thor. It’s based on a similar platform compared to Immortal Romance and actually offers features alike, such as multiple free spin features and a randomly appearing wild feature, turning any symbols into wilds. Mega Moolah: we simply cannot make a top list of MicroGaming slots without including the legendary progressive jackpot slot, Mega Moolah. It has created several multi-millionaires and actually continues to do so up until this day. Unorthodox features? How about 4 progressive jackpots? The Dark Knight: I, for a long time, though that this slot is developed by Playtech, as it just didn’t look like MicroGaming at all. Well, guess what, it is from MG and can be played at Gaming Club Casino. It’s developed after the character of Batman and is a fully licensed game representing this character. 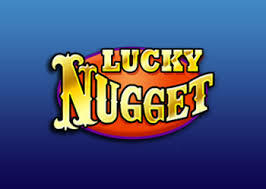 You can also claim 4 massive progressive jackpots, since the game is linked to Mega Moolah’s progressive network. Both of these bonuses are a subject for wagering requirements – you will have to wager a certain amount of money, before a withdrawal request can be made. In the case of these two welcome bonuses, this amount is 30 times your bonus amount, which would be $6,000 for the first and $4,500 for the second bonus. Any additional promotions come on top of these two bonus offers and will improve the value for yourself even further. VIP loyalty scheme also works while you’re clearing the first two welcome bonuses. Looking to deposit money at Gaming Club, but not sure what methods or offered? Or trying to already withdraw and not sure what the best way is? Well, that’s why we have this section. So while I’m saying that Gaming Club does quite well in terms of banking, I can also admit that their processing times for withdrawals are off. I would not consider them as one of the best in this area, actually quite far from. Usually withdrawals take between 48 to 72 hours. We ended on a quite bad note, so this is a great continuation – customer support, which is really proficient at GamingClub Casino. You’ll be able to sort any potential issues really quick and either through live chat, e-mail, phone or after reading the help section! Because experience is everything and I’ve learned that several times in life. Yes, Gaming Club definitely does not have the most advanced mobile casino or most modern casino games in the world, but they do have a great 20 year track record. They’ve served millions of customers and that definitely counts for something!